Yesterday’s Virginia primary had a big upset. 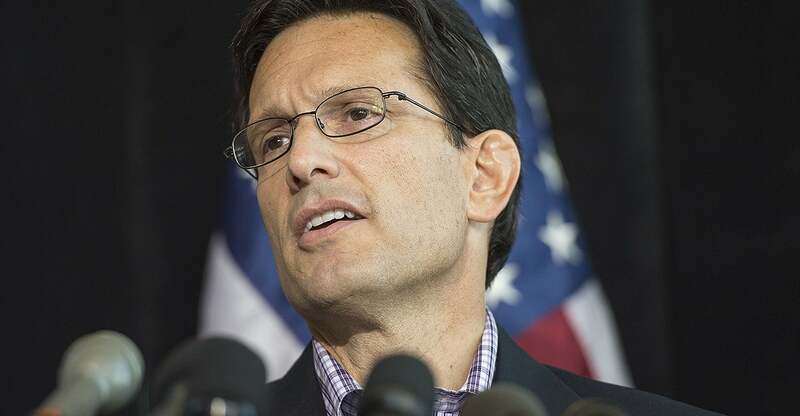 House Majority Leader Eric Cantor (R-VA-7) lost his seat in the primary to challenger and economist Dave Brat. There are numerous articles being published this morning how that happened. Some pundits say is was a Tea Party victory. In reality, it wasn’t, it was a grassroots victory assisted by some big-name conservatives like Laura Ingraham and Mark Levin. There is a difference. The national Tea Party organizations like the Tea Party Express and AFP ignored the race assuming, so say some, that Cantor was a shoo-in. Apparently, so did many of Cantor’s supporters because they stayed home and didn’t vote. The turnout was very low, 65,000 out of a population of over a quarter-million. Cantor’s flip-flops came home. He hadn’t had much opposition since he first won his seat in 2001. He was unopposed until 2010 and 2012. In 2012, he courted the Tea Party and won by 79%. Since then, Cantor turned, vilifying his former supporters and sucking up to the GOP establishment. David Brat, the winner of the primary against Cantor wrote this statement in an article for the Daily Caller earlier this year. Like so many other GOP Representatives, Cantor let ambition override his duty to his constituents. Being elected in a strong, conservative district is no guarantee for incumbents. (Are you listening Vicky Hartzler?) So far this year, we are seeing numerous successful challenges to the GOP establishment, Cantor is one of them. The worm turned…in California of all places! Tenure for teachers in California received a severe blow in court this week. Judge Rolf M. Treu, Los Angeles Superior Court, found five California statues concerning teacher tenure unconstitutional. Treu found that the statutes permit too many grossly incompetent teachers to remain in classrooms across the state — and found that those teachers shortchange their students by putting them months or years behind their peers in math and reading. He ruled that such a system violates the state constitution’s guarantee that all children receive “basic equality of educational opportunity.” In a blunt, unsparing 16-page opinion, Treu compared his ruling to the seminal federal desegregation case Brown v. Board of Education, decided 60 years ago last month. “The evidence is compelling. Indeed, it shocks the conscience,” Treu wrote. — Politico. For decades the California educational system has been the prime example was what not to do. With test scores pummeling, teachers fought to block testing, lest it prove the abysmal results of their social engineering agenda. Test scores should be used to review the effectiveness of education. Too many school districts—and state educational systems, would rather teach the tests than actually educate their students. Systems that do ‘teach the tests’ then blame the tests for their failures to educate. Long before this case, it was evident that local and state education systems were more interested in their own sinecure than teaching. We will soon hear the howl of outraged teacher unions calling for this judge’s head for speaking truth. Once again, unions have been found to be the refuge of many incompetents. The good teachers will get tarred equally along with the bad. They have no other recourse…California is not a RIght-to-Work state. Teachers are required to join the teachers union if they want to teach. But that was yesterday. Perhaps…just perhaps the students of California will have a new day now that it will be easier to be rid of the lazy and incompetents in the California school system. Does The Tea Party Need More Experienced Candidates? This election season’s primary results, in particular Mitch McConnell’s lopsided trouncing yesterday of Matt Bevin, have produced their share of obituaries for the Tea Party. But the experience so far of Tea Party and other insurgent showdowns against the GOP establishment just goes to show that candidates and campaigns still matter – and that’s not likely to change. While both “Establishment” and Tea Party campaigns have gotten savvier in learning how to play the primary game, we are likely for the foreseeable future to see Tea Party challengers win when they are good candidates, with some prior political experience, talent and funding – and lose when they lack one or more of those attributes. I’d like to look here in particular at the importance of political experience, and whether Tea Party campaigns has been losing races because it was running complete political novices. — Red State. After last week’s primary, the ‘net abounded with articles that proclaimed the Tea Party was dead. McConnell bragged about his win over Matt Bevin and other RINOs facing primary opposition took heart. They conveniently overlook Tea Party wins such as Ben Sasse in Nebraska and Alex Moony in West Virginia. The battle between the GOP establishment and the grassroot reformers, collectively called the Tea Party, is not over. Democrats claim government cannot be accountable. What a despicable statement. Everyone, every organization is accountable—if we make them so. If government is not accountable, then what are we? What is our relationship with government? Are we serfs? Peasants? Have we no rights? The Constitution says otherwise. That is why the liberals hate it. “Presidents consistently overpromise and underdeliver,” he begins, a fair start. Surely, the editor-in-chief of Vox is going to make the obvious point that presidents and presidential candidates should know enough about the political process (including the limits on the executive branch) to avoid such a breach of trust. Klein is a data guy. He must know that the public’s faith in government and poltics is on a decades-long slide, a dangerous trend due in no small part to the fact that candidates make promises they know they can’t keep. In Washington, we call it pandering. In the rest of the country, it’s called a lie. Klein yawns. Klein is basically asking us to accept all of Obama’s lies and failures because we need to understand that politicians promise a lot of stuff they can’t deliver. Presumably we’re supposed to smile and clap when a slick character like Obama does an especially good job of tricking us into believing he can deliver the moon and stars, but it’s extremely rude and unrealistic to complain when those celestial goodies aren’t delivered on schedule. Fournier is having none of it: “A Harvard-trained lawyer and Constitutional scholar like Obama didn’t stumble into the 2008 presidential campaign unaware of the balance of powers, the polarization of politics, the right-ward march of the GOP and other structural limits on the presidency. He made those promises because he thought those goals were neither unreasonable nor unattainable. 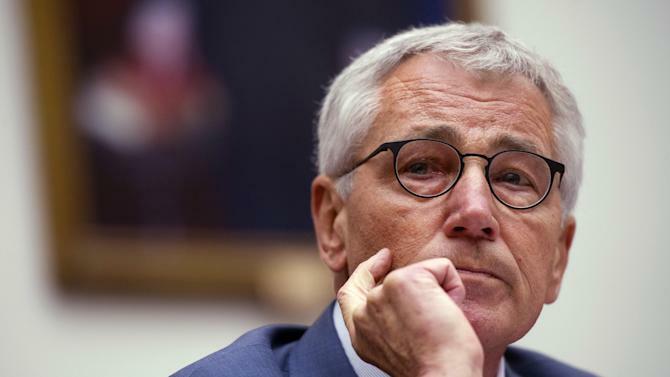 Either that, or he was lying.” He goes on to note how eagerly Klein tries to separate Obama from his promises, writing as if some non-human entity called The Obama Campaign made all those inconvenient commitments to stuff like improving the Department of Veterans Affairs. In order for Obama to save his own hide, and protect his top appointees – which is part of saving his hide, because he believes firing anyone, over anything, would make it difficult for the media to ignore his scandals to death – he’s basically making the accountability argument for Republicans. All you have to do is quote his endless evasions and childish tantrums. What good does it do the victims of bureaucracy to hear that Barack Obama’s super-angry about what happened to them, when all he does is order the offending agency to investigate itself, and maybe get back to him after the next election with the results? It’s the Left that keeps inadvertently dropping these killer soundbites, and writing these op-ed screeds, to make the case that their beloved Big Government is inherently corrupt and out of control. They’re doing a great job of indicting their philosophy, in order to protect their heroes from consequence. They’re so wrapped up in personalized politics that they don’t realize how much their excuse-making is eroding public confidence in government. They’re essentially telling the American people that nobody will ever be held responsible for anything that goes wrong, because the system has grown so powerful that it no longer fears the wrath of its subjects. …it’s not good enough to simply restore the oversight functions of the press, by electing someone they’re not in love with. The system itself has to be whittled down to size. The quest for accountability is a crusade with bipartisan appeal, because a lot of rank-and-file Democrat voters expect it too. Some of them believe in government control precisely because it thinks bureaucrats and politicians are more accountable than the robber barons of the private sector. They are hideously mistaken, and the Obama years have given us plenty of examples to prove it. Start with the VA scandal, but don’t stop there. Go through the whole sorry mess, and ask voters if they can point to a single act of genuine responsibility from Obama’s government. Not only has it become impossible for the public to hold any high official responsible for his actions, but there’s no way to escape from the broken system. You can’t demand new management, you can’t escape from lousy “deals” that bear little resemblance to what you were promised, and you can’t stop paying for the government’s mistakes. All of this is going to get a lot worse, as the power and reach of government grows, and more of its unsustainable plans collapse. People are suckers for Big Government because they think the bums can be thrown out of office if they mess up. The Obama years offer enduring proof that this belief is hopelessly naive. Where do you go to vote the permanent bureaucracy out of office? How do you hold a politician accountable for his errors, when he’s got an army of constituents hungry for more of the favors he dispenses? But don’t take it from me. Just listen to the liberal politicians and pundits who are increasingly insistent that no one can be held responsible for the failures of the Leviathan State, because no hand is strong enough to hold Leviathan’s reins. To an extent, the liberals are correct in that a change of leadership will not return accountability to government. Any leadership change that want to limit government and constrict its growth and power, must have an internal house-cleaning from top to the very bottom. The abuses of regulations and the federal agencies is not possible without the willing compliance of all, to the lowest employee. Replacing the patronage appointees will do nothing to impose change. Only wholesale disbandment of those agencies and their regulations can achieve what this country needs. When there are more unemployed federal workers than private sector workers, only then will we achieve any of our goals. It should not be surprising. After all, it is an established liberal campaign tactic; if you can’t beat ’em, intimidate ’em. That tactic is in the news again. Democrats facing strong opposition this year, are turning to the IRS to tyrannize opposition groups. This month, Americans for Prosperity launched a three-week advertising campaign targeting Pryor. The group has also targeted Shaheen and Sen. Kay Hagan (N.C.), another vulnerable Democratic incumbent. Last month, Americans for Prosperity-New Hampshire launched a television ad criticizing Shaheen for her 2009 and 2010 votes for the Affordable Care Act. It highlighted the plight of New Hampshire residents who have to travel hours to find healthcare in hospitals covered by the state’s insurance exchange. Last week, the group announced a $1.4 million TV campaign against Hagan. On Wednesday, it unveiled an ad hitting Sen. Mary Landrieu (D-La. ), another endangered incumbent, for voting for ObamaCare. A spokesman for Americans for Prosperity estimated the three-week advertising campaign would cost $750,000. Robert Maguire, the political nonprofit investigator at the Center for Responsive Politics, which tracks spending by outside groups, said Americans for Prosperity has spent far more money than any other 501(c)(4) group this election cycle. In the last election cycle, Crossroads GPS, a group founded by GOP super-strategist Karl Rove, spent the most political money of any social-welfare group, according to the Center for Responsive Politics, which estimated the total at $71 million. The group has remained relatively quiet this cycle. The law states that 501(c)(4) groups must be operated exclusively for the promotion of social welfare, but the IRS has traditionally adopted a more lenient standard, said Paul S. Ryan, senior counsel at the Campaign Legal Center. The IRS says social-welfare activity must be the primary activity of such groups. It gives them broad leeway by not classifying voter registration drives and even ads that criticize candidates as political activity. Under new proposed regulations by the Treasury Department, the IRS would define voter registration, distributing voter guides and running ads that mention candidates as political activities. It also proposed setting a bright-line limit for what percentage of groups’ activity would be allowed to fall into the category of candidate-related political activity. If enacted, the regulations would, in effect, limit how much outside groups, such as Americans for Prosperity or League of Conservation Voters, could spend as a percentage of their budgets on the Senate races. Sen. Charles Schumer (N.Y.), the Senate Democrats’ chief political strategist, called for the IRS to curb political spending by outside groups during a major speech on how to blunt the impact of conservative donors such as the Koch brothers. “The Tea Party elites gained extraordinary influence by being able to funnel millions of dollars into campaigns with ads that distort the truth and attack government,” he said in remarks at the Center for American Progress Action Fund. “There are many things that can be done administratively by the IRS and other government agencies — we must redouble those efforts immediately,” he added. Democrats, however, know they must tread carefully while pushing the IRS to act. Revelations that the tax agency had targeted conservative groups swelled into a major controversy last year. Congressional Republicans have grilled the Obama administration on why there have been no indictments nine months after the IRS news broke. The column continues at the website. The telling sentence in the article above is this: The law states that 501(c)(4) groups must be operated exclusively for the promotion of social welfare, but the IRS has traditionally adopted a more lenient standard, said Paul S. Ryan, senior counsel at the Campaign Legal Center. But, as evidence has shown, lenient treatment only happens if the organization being investigated is a liberal one backing democrat candidates. The democrats and establishment DC ‘Pubs are working hard to make the law irrelevant. They should quake in fear of that occurring because it means that neither side will be restrained. Another news item nearly slipped by me this morning. I heard that Time-Warner was in trouble. It hasn’t been much in the news but they have been looking for a buyer for some time. According to this report, they’ve found one—Comcast. Why does this bother me? I’m a Comcast subscriber, Comcast has the franchise for my hometown. I’ve always gotten good, reliable service from them, yearly cost increases aside. This bothers me because in our area, there will be no major competition, aside from AT&T and satellite providers whose reliability and service is a running joke in the industry. More and more, we see, instead of competition, consolidation. Our commercial law is geared towards big business and mergers. This one is an example. Like telecommunication carriers, there aren’t all that many voice/internet/cable TV carriers out there. When you tie that environment with the municipal exclusive service franchise, you can bet costs will go up and service will go down. Why should they not? They have a captive client base with no other place to go. COMCAST SWOOPS IN TO ACQUIRE TIME WARNER CABLE | Time Warner Cable has been dodging a takeover for months, but it finally accepted another suitor with a sweeter offer. Comcast on Thursday announced an agreement to acquire Time Warner Cable in an all-stock deal valued at about $45.2 billion. The merger will unite the biggest and second-biggest cable television operators in the country, David Gelles writes in DealBook. Under the terms of the deal, Time Warner Cable shareholders will receive $158.82 a share based on Comcast’s closing price on Wednesday. The merger is likely to bring to an end a protracted takeover battle that Charter Communications has been waging for Time Warner Cable, leaving Charter Communications to wonder what might have been. As for Comcast, the Time Warner Cable deal would be its second big act to radically reshape the media landscape in the United States — the company completed its acquisition of NBC Universal less than a year ago. But despite combining the country’s two largest cable operators, a merger will probably have little effect on consumers. Nevertheless, the combination of the two cable operators is certain to attract antitrust scrutiny by regulators. The column continues with a review by the Wall Street Journal of T-W’s woes and the negotiations leading up to the proposed merger. The House and Senate Republicans have handed Barack Obama a blank check to raise the national debt as much as he wants. Throughout last year, Republicans said conservatives should fight on the debt ceiling, not the continuing resolution. They said they should filibuster the debt ceiling, not the continuing resolution. They said they should shut down the government over the debt ceiling, not the continuing resolution. After conservatives balked at their lies and the Democrats shut down the government, Republican leaders scrambled as fast as possible to throw conservatives under the bus and reopen the government. Still, they said, the debt ceiling fight was coming up and they’d hold the Democrats accountable. Just two weeks ago, Senator Mitch McConnell claimed the GOP would refuse a clean debt ceiling increase and demand cuts and reform. But this week the GOP caved across the board. They gave the President the right to raise the debt as much as he wants until March of 2015 — as much as he wants. Republicans have abdicated their own responsibility for restraining the size of the federal government. Primaries matter. Mitch McConnell was the deciding vote in the Senate to move forward. John Boehner, Eric Cantor, and House GOP leaders structured this deal in the House. Primaries matter. Until you defeat these guys, you will do nothing to change Washington. If they are going to give Barack Obama a blank check, we should cancel their paychecks at the ballot box. Yesterday, Harry Reid detonated the nuclear option in the Senate by arbitrarily changing the Senate rules concerning federal appointments, including the Judiciary. Before Reid’s act, appointments required a 60 vote super-majority. Reid changed that to a simple majority. Immediately after the vote, Sen. Tom Harkin (D-Iowa) called for more reforms—eliminating the filibuster for legislation. Harkin’s call for eliminating the filibuster was retaliation against Senator Ted Cruz’s and Rand Paul’s filibusters this year. Reid’s act and Harkin’s call to eliminate all filibusters is a blatant power grab effectively making the Senate a democrat rubber stamp. The days of polite discussion, of gentlemanly discord are gone. The democrats have known this for decades. The ‘Pubs, hopefully, have finally realized the same. Politics has turned bloody. When will the ‘Pubs realize you don’t show up unarmed to a gun-fight? I’ve said before, our current history appears to be a repeat of those days before the start of the Civil War in 1860. The issue then was not solely about slavery, although that was a very significant issue. A major issue at that time was the loss of political power by the Southern States to the more populous and economically powerful North. Tariffs and trade issues were passed that favored the North to the detriment of the South, issues that reduced the South’s trade with Europe. The result, when the South saw no other recourse, was Secession. Reid’s act yesterday followed immediately by Harkin’s call to eliminate all filibusters is another step that mirrors the conditions immediately before December, 1860. South Carolina seceded on December 20, 1860. Is it coincidence that Reid’s elimination of 225 of Senate tradition, of a history of a balance of power, happened in November? Are we approaching a day like that of 153 years ago? It is after midnight here in Oxford, UK as I write this. Tonight, I debated in the Oxford Union — a society that has gathered each Thursday night for a black tie debate since 1823. The side favorable to the proposition went first and vice versa to the end with me as the final speaker of the night. Each side had four participants — one student and three guests. The proponents included both Martin Castro and Ada Meloy, along with Carla Buzasi and Oxford student Toby Fuller. My side included Richard Kahlenberg, Heather McGregor, and Oxford student Martine Wauben. I must thank Rush Limbaugh and Sean Hannity for encouraging me toward talk radio. I spoke for 8 minutes unaided by notes, which would have been impossible, but for two years of doing a talk radio show consisting of just me talking with no script. If you’ve ever seen the British House of Commons, you know how it went. We all stood beside dispatch boxes given by Winston Churchill. We all were interrupted by points of information by opponents. Everyone told me I should expect to lose. Just last week the Oxford Union voted against patriotism. I simply made the point that positive discrimination, or affirmative action, is still discrimination and evil is still evil. Likewise, I pointed out that the United States is 150 years removed from the Gettysburg Address, we have our first black President, and we still have people clamoring for positive discrimination. We cannot trust that those who benefit from it will ever say we need no longer have it. Likewise, I pointed out that we have had and will always have racism. A government that claims we are equal under the law, but still sees racism is not a government we can expect to write a law to dramatically get rid of racism. But we do know that those negatively affected by positive discrimination will be bitter and those who benefit from it will always be under a lingering doubt that they were chosen as tokens, not on merit. I had a wonderful time, topped off by a pint of Guinness with my wife and friends. Thanks for the prayers along the way. A guy who sounds like me somehow convinced a group of Brits that affirmative action is wrong. My side won by 9 votes. I agree with Erick Erickson. Discrimination, positive and negative, is evil and must be abolished. I prefer a meritocracy, myself. 1. A system in which advancement is based on individual ability or achievement. An act of tyranny. The FEC by a 3-2 vote, refused to grant an exemption to the Tea Party Leadership Fund allowing them to keep their donar list private. The FEC has granted exemptions to the NAACP and the Socialists Worker’s Party but not the Tea Party. A sharply divided Federal Election Commission on Thursday denied a request from a leading tea party group for an exemption from disclosing its financial backers to protect them from harassment. The FEC board voted 3-2 against a motion to exempt the Tea Party Leadership Fund. The fund will have to continue to disclose donors who contribute more than $200, despite its contention that its donors should be given an exemption given to special persecuted groups such as the Socialist Workers Party and the NAACP during the civil rights era. Commissioner Steven Walther, who also voted against the fund’s motion, said the group was “not a minor organization” requiring special protection from the normal rules of disclosure. But Commissioner Matthew Petersen, one of the two Republican members of the panel who supported the exemption request, said the TPLF’s petition documenting past harassment justified the group’s request. The fund submitted more than 1,400 pages containing examples of harassment, ridicule and threats against tea party members from the media and the general public. The submission also noted the still-simmering scandal over whether the Internal Revenue Service deliberately targeted some conservative groups applying for federal tax-exempt status for special scrutiny and regulatory delays. The FEC will grant exemptions to leftist, socialist organizations but not to conservative ones. This is what we get when Obama and the dems have unlimited power to appoint heads of federal agencies. Harry Reid, the Senate hand-puppet of Obama, refused to negotiate and voted down the last compromise on the CR. The last few versions of that CR gave away all the gains, defunding Obamacare, and replaced defunding with some minuscule changes that really made no difference. But Obama Reid, refused to play and time ran out. So what is the effect? Not all that much. I noticed my neighbor was home mowing his grass this morning. He’s a ‘secret squirrel’ working for the FAA. I don’t know if he has been furloughed or if it’s his day off. He’s on rotating shifts. I saw a notice sent out by Whiteman AFB listing the functions that would continue and which ones were reduced or closed. Single enlisted Airmen were hit the worse. No Wi-Fi in the barrack’s common rooms and no cable-TV either. The base library is closed and the hours of the auto hobby shop have been reduced, but the Base Exchange is open as is all the usual military functions. – Child Development Center and School Age Programs will operate as normal. – Military Personnel Section (e.g. ID cards) will remain open; however, wait times may be affected. – Base fire and emergency response services will operate as normal. – Base Dining Facility will operate as normal. – All emergency service calls (e.g. HVAC, plumbing, electricity, carpentry) will operate as normal, although response times may be affected. – All law enforcement and security functions will operate as normal. – All Non-appropriated (NAF) functions are exempted and will operate as normal including the Club, Golf Course, Lodging, Bowling Alley. – All education and testing capability (PME/CDC testing, counseling and TA support) will be limited. – Voicemail services will operate as normal. – AAFES will remain open. – Airman and Family Readiness Center will have limited services. – Dorm Residents postal delivery will cease. Residents will need to come to the Post Office to pick up their mail. – Dorm common room internet services will cease. – Cable TV service in military buildings will cease; family housing residents will not be affected. – Grounds maintenance and litter patrol will cease; units must remove litter/debris from around their buildings and in common areas. – Outdoor Recreation hours will be reduced to 20 hours/week; all trips/tours will be cancelled. – Auto Hobby Hours will be reduced to 20 hours/week. – Base Library will close. – Community Activity Center will close. – Information, Tickets and Tours (ITT) will close. – Fitness Center exercise classes will be limited; a new schedule will be available at the Fitness Center. I seem to remember when I was in the Air Force, Prez Nixon issued some wage and price freezes to control government costs and the runaway inflation created by Johnson’s Great Society and massive spending. I was assigned to Richards-Gebaur AFB and we had similar cutbacks. There was no internet, nor cable-TV then. The only noticeable impact was the closing of the base library, and the Airmen’s Club quit selling 3.2 beer. The NCO and O-clubs remained open as well as the commissary and BX. The on-base gas stations, run by the BX, kept the same hours, and no prices changed. If you lived off-base, as I did, you really didn’t notice any change. The brunt of the impact was to the unmarried enlisted Airmen living on base. But the real question is what will be the political impact. Obama Reid is counting on Boehner and the RINO-boys caving. That will probably happen. Boehner and his RINO buds have no spine. They don’t want to jeopardize their membership in the Ruling Class. The column below appeared today in the National Journal. It mirrors the theme of my posts for the last several months. The writer and the publication aren’t conservative. They’re members of the liberal mainstream, but it is telling that they, too, see the dangers coming towards us. 1. The Republican Party is marginalizing itself to the brink of extinction. 2. President Obama can’t capitulate to GOP demands to unwind the fairly legislated and litigated Affordable Care Act. To do so would be political malpractice and a poor precedent for future presidents. 3. Despite the prior two points, Obama and his party won’t escape voters’ wrath. Democrats are less at fault but not blameless. 4. This may be the beginning of the end of Washington as we know it. A rising generation of pragmatic, non-ideological voters is appalled by the dysfunctional leadership of their parents and grandparents. History may consider October 2013 their breaking point. There will come a time when Millennials aren’t just mad as hell; they won’t take it anymore. At this point, the writer had to revert to his liberal bias. He applauds ‘Pub Senators like Cole (R-OK), who supported Cruz, and Coburn (R-OK), who supported Harry Reid, calling both “conservatives.” The writer villainizes Ted Cruz, Lee and their supporters as “extremists” who oppose governing(!?). The Republican Party may be splitting apart. The divide is between conservatives who want to limit government and extremists who oppose governing. The latter sect is represented by Sen. Ted Cruz of Texas who is misleading his supporters. He knows that the GOP can’t overturn Obamacare because Republicans only control one half of one branch of government. And yet, Cruz and other tea party Republicans pledge to do the impossible, presumably to build email lists, bank accounts, and fame. The strange thing is that Obamacare could be a good issue for the GOP. It is an unpopular law freighted with complexity. Successful implementation requires precision from an Obama team that has proved itself weak on the nitty-gritty of governing. One could argue that the GOP is fighting Obamacare at its peak strength – prior to implementation. Why not wait for it to go into effect, seize on the flaws and, as Cole says, win some elections? Obama can’t and won’t gut his bill. Even if you set aside his politics, capitulation would set a horrible precedent: The nation’s credit and the government itself cannot be taken hostage by the extreme wing of a minority party. At the risk of being accused of “false equivalency” I need to state the obvious: Obama and his party won’t emerge from a shutdown or debt crisis unscathed. To suggest otherwise is a false purity. For starters, the president of the United States is the living symbol of our government and thus receives undue credit when things are going well and outsized blame when they’re not. Second, voters want Obama to work with Republicans – or at least try. The president is seen by just half of Americans as trying to work with GOP lawmakers, according to the New York Times/CBS News poll. That is down from six of 10 Americans who said the same thing in January 2012 and three-quarters who said he would work with Republicans in 2010 and 2011. Remember the central promise of Obama’s presidency: He will change the culture of Washington. What happened? Obama has not only been taken hostage by the worst of Washington, gridlock and pettiness, but he seems to be suffering from Stockholm syndrome. His criticism of the GOP last week was as petulant as any GOP talking point. While announcing historic negotiations with Iran, a regime that sponsors terrorism, Obama said he wouldn’t bargain with the GOP. Reaching out to rivals doesn’t mean capitulating on Obamacare. It does mean swallowing his pride, listening and helping the GOP find a way out of the box they’ve built for themselves. If this was merely a leadership pageant, Obama would win by default because House Speaker John Boehner is performing so poorly. But it’s not. It’s about the country that Obama leads, and everybody gets hurt when he cloisters himself off from the dirty process. Obama’s job approval numbers are already slipping. For the first time in months, more voters disapprove of his performance than approve. Two-thirds of Americans think the country is on the wrong track. The “wrong track” metric is one that often tracks the president’s popularity. A government cataclysm this month will heighten voters’ anxiety and Obama’s jeopardy. The salt in voters’ wounds is that this fight does not directly address their biggest issue, jobs. It also not about the nation’s long-term, entitlement-fed debt, an existential issue both parties stopped trying to solve. — The National Journal. The writer seems to place great faith in the “Millennials.” True, some are becoming politically active—as Tea Party members. Others, raised in the entitlement atmosphere of public education, are whining about the lack of “good paying” jobs, lack of diversity and the unfairness of their situation. Some may come to realize that reality is not fair and become Tea Partiers. The remainder will be locked into a mold of waiting for Mom and Dad, or the government, to bail them out; not believing the days of bailouts are past. Where does all this lead beyond the next election cycle or two? Nobody knows, but the best place to look for answers is within the Millennial Generation, the nation’s rising leaders and voters. Last month, in a lengthy essay on Millennials [ The Outsiders: How Can Millennials Change Washington If They Hate It? ], I concluded that their revolutionary view of government and politics points toward two possible outcomes. One is that they might opt out of Washington, which leads us to some dark places. The second and more likely outcome is they will blow up Washington (“disruption” is the tech-inspired term they use), and build something better outside the current two-party dysfunction. Millennials don’t fit neatly into either the Democratic or Republican parties. They are highly empowered, impatient, and disgusted with politics today. What happens in Washington this month might make a Millennial Revolution all the more likely. — The National Journal. When the writer mentions “Millennials,” I see him really referring to the conservative base that is supporting Cruz, Lee and others. Those conservative supporters are washing their hands of the two party, business-as-usual Washington environment and demand change. If you change “Millennial” above to “grassroot conservatives,” I think he is right. The “Shutdown”, will disrupt some in the short-run. In the long-run, it really won’t make much difference if Boehner and McConnell caves as Obama Reid expects. But! If the real conservatives in Congress apply pressure, and pressure is applied as well from the electorate, perhaps it will be Obama Reid, who ends up failing…to the betterment of us all.